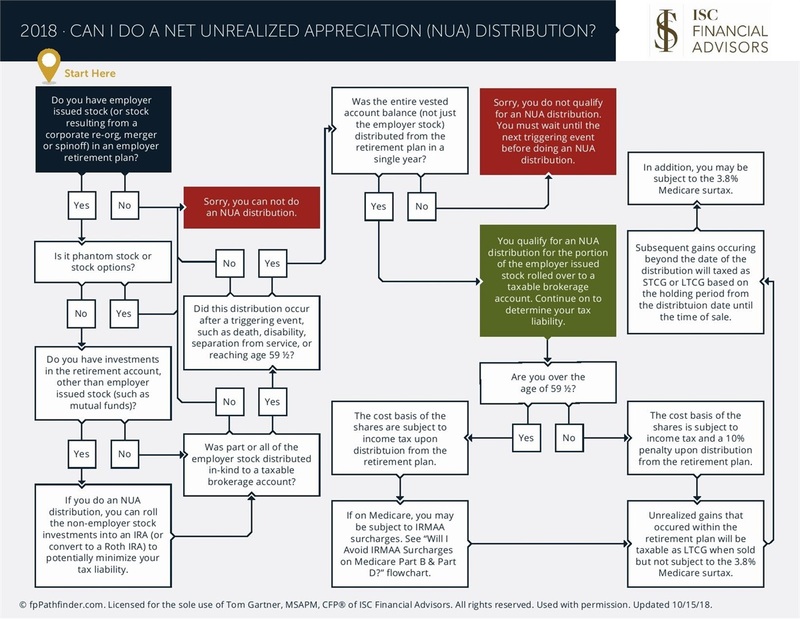 Can I Do A Net Unrealized Appreciation (NUA) Distribution? Having employer-issued stock in a 401(k) plan opens the door for a conversation on doing an NUA distribution. But to qualify for the NUA distribution, your client must satisfy several very important rules, some of which or often misunderstood. This article represents opinions of the authors and not those of their firm and are subject to change from time to time, and do not constitute a recommendation to purchase and sale any security nor to engage in any particular investment or legal strategy. The information contained here has been obtained from sources believed to be reliable but cannot be guaranteed for accuracy.